We concentrate our efforts on site, dry utilities, commercial, and tenant improvement electrical contracting in the Southern California area. We take great pride in our ongoing close business relationships with our General Contractors and Developers. 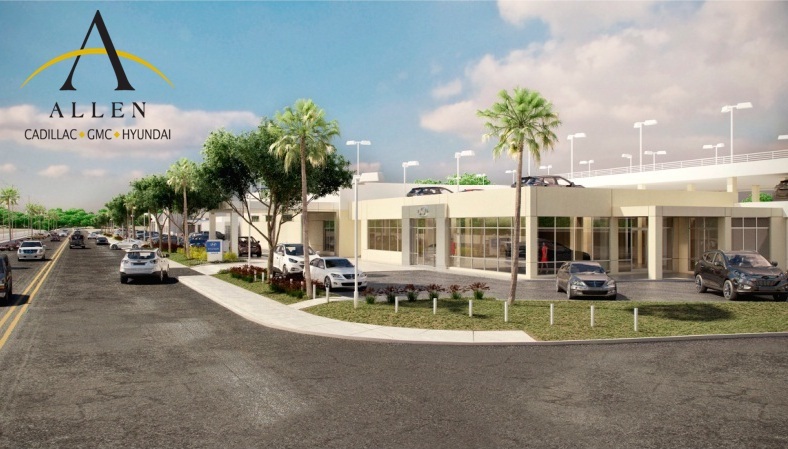 Allen Automotive Group’s Cadillac, GMC and Hyundai dealerships on Camino Capistrano in the Laguna Niguel Gateway area. The project includes a new two-story, 20,410 square-foot Cadillac showroom, customer waiting area and administrative offices that will replace the original 8,800 square-foot dealership building constructed in the early 1970s. Please browse our most recent work. And you will see why we are an industry leader for excellence in electrical construction.